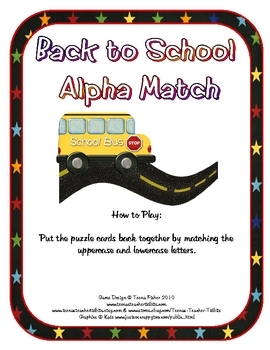 Your children will have fun putting these adorable puzzle cards together while matching upper and lower case letters. This is a great center to make completely self-checking by placing matching symbols/stickers on each puzzle piece before laminating. 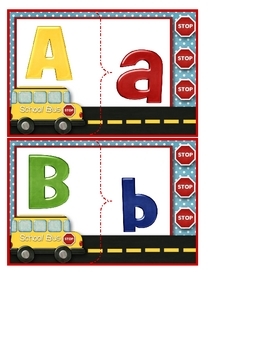 PDF includes: label for storage envelope, and 26 puzzle cards completely ready for you to print, cut & laminate.